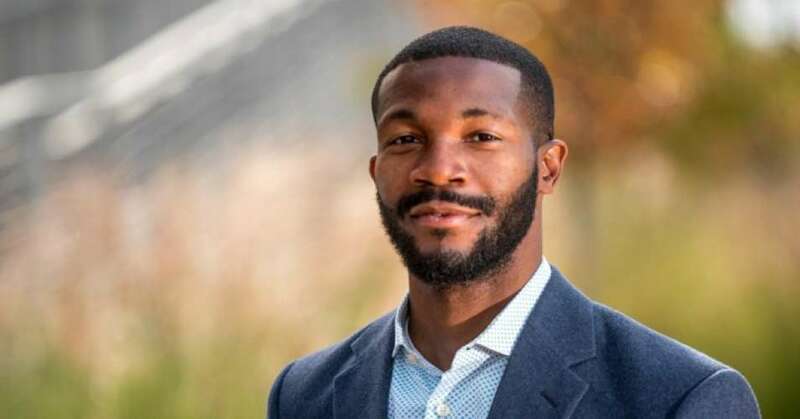 In the latest victory for the progressive movement in the southern United States, voters elected 36-year-old populist Randall Woodfin, who ran a Bernie Sanders-style campaign, as the new mayor of Birmingham, Alabama in a runoff election on Tuesday night. The runoff followed Woodfin’s promising performance during the first round of voting in August, and what local media described as an “often acrimonious race” between the mayor-elect and 7-year incumbent William Bell, who has been involved with local politics for the past 40 years. Woodfin, a former board of education president and relative political newcomer, is expected to take office November 28. Congratulations to Mayor-Elect @WoodfinForBham for running a great grassroots and winning campaign. I look forward to working with him. Our Revolution, the progressive political action group spun out of Sanders’ 2016 presidential campaign, also supported Woodfin’s bid for mayor. “From knocking on doors to sending text messages, and making calls, Our Revolution invested in Woodfin’s campaign because he truly believes investing in people is how we build better cities,” said Nina Turner, the group’s president. “Woodfin has gotten a lot of attention for being a soft-spoken, bearded bachelor with a hyper progressive platform,” Katherine Webb-Hehn reported for In These Times ahead of the Aug. 22 municipal election featuring a field of 12 mayoral candidates. His platform is being lauded by progressives for addressing crime and poverty by advocating debt-free community college tuition and a youth summer jobs program inspired by the late Marion Barry, the District of Columbia mayor whose own federally-funded jobs program is as old as Woodfin. He also wants to re-open community centers closed during Bell’s tenure and invest in minority and woman-owned businesses. Woodfin tells me his programs are a reflection of what he’s heard from voters at their doors. He wants to expand pre-K, invest in public transit and job training…. He is also looking to boost the city’s police force; Birmingham has the seventh highest homicide rate of cities of over 100,000 people. He had his own personal connection to the city’s sky-high crime: his nephew was shot and killed during the course of the campaign. The boy’s father, Woodfin’s older brother, was killed in a shooting five years before that. Woodfin wasn’t Our Revolution’s only success on Tuesday. The group has also rallied behind Tim Keller, a mayoral candidate in Albuquerque, New Mexico, who advanced to a runoff election after securing 40 percent of the vote. In addition to Woodfin and Keller, Our Revolution has endorsed 30 other candidates running for positions in various levels of government this year. Several candidates will face elections on Nov. 7, 2017.